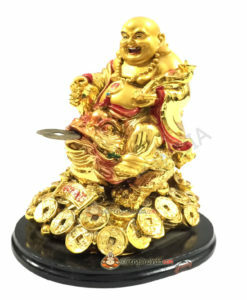 This truly is a masterpiece, an all-round extremely good fortune representation of the Laughing Buddha. 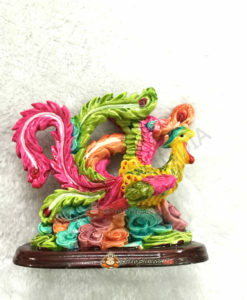 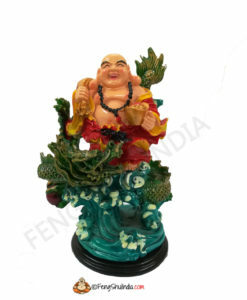 His ever smiling face brings harmony and happiness wherever he’s displayed, in your homes or offices. 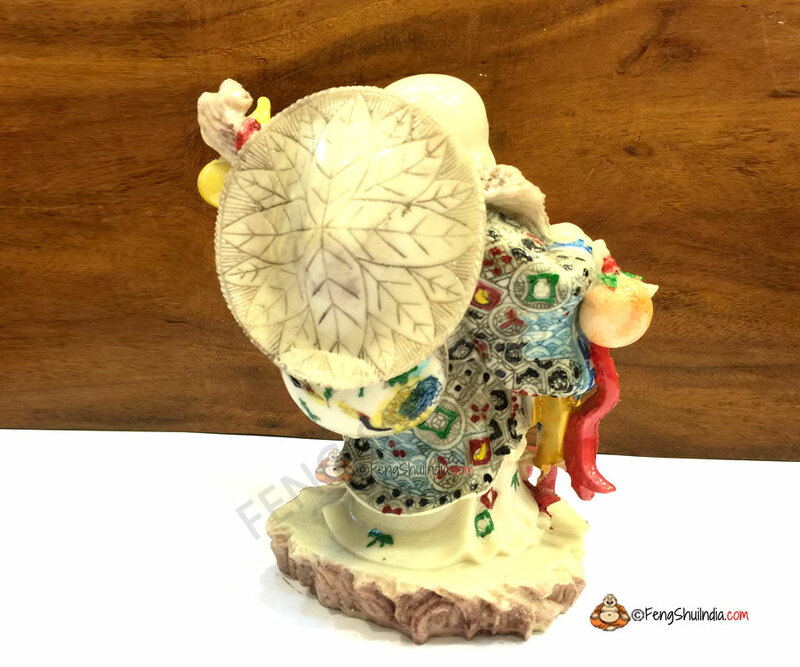 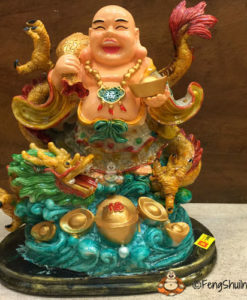 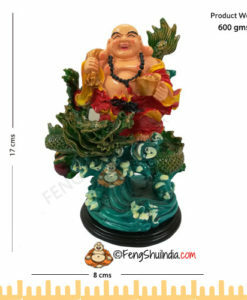 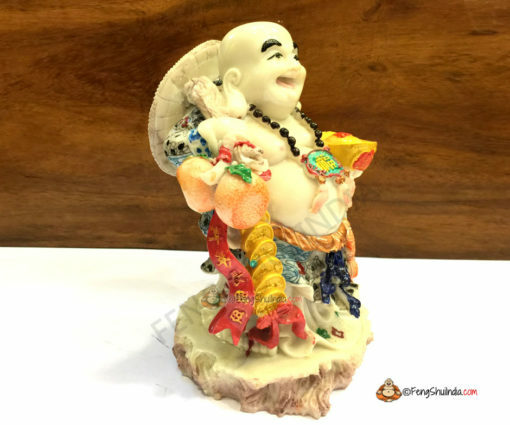 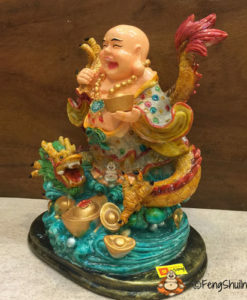 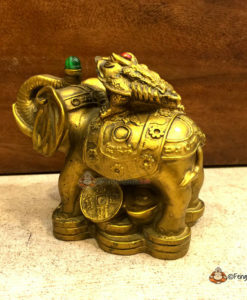 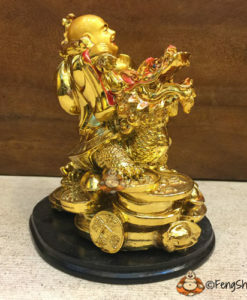 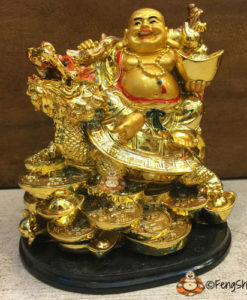 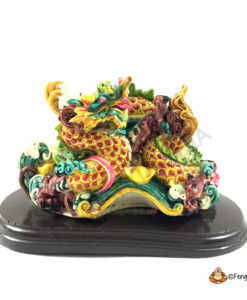 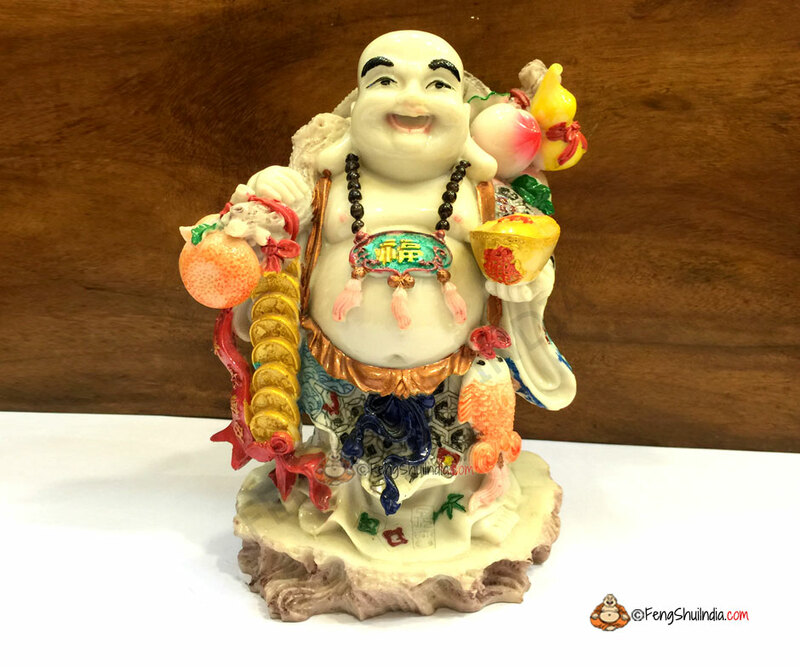 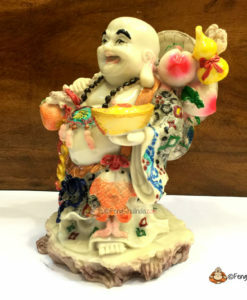 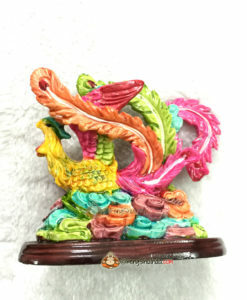 This Laughing Buddha Invites abundance of wealth with the two strings of auspicious coins and Carp Fishes, as they are very powerful symbols for wealth and fortune. 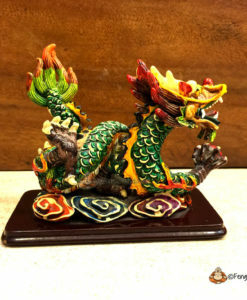 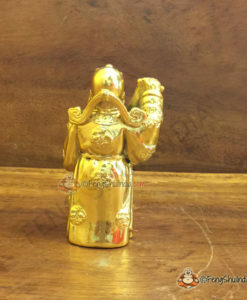 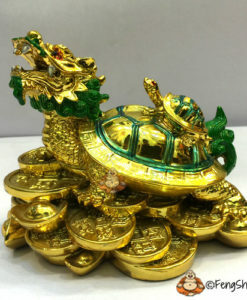 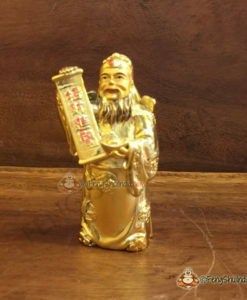 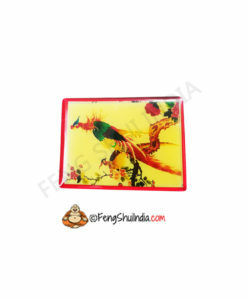 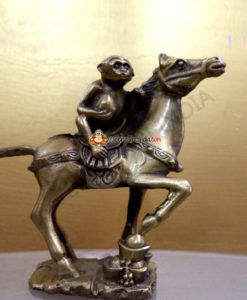 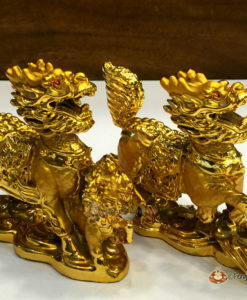 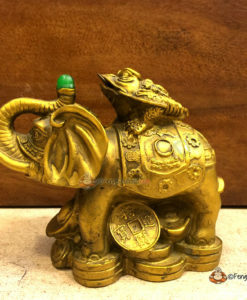 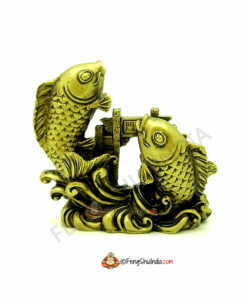 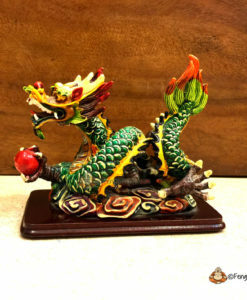 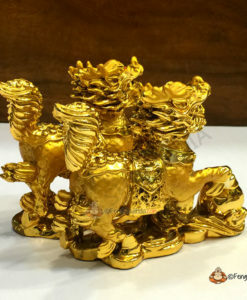 He’s seen holding an Ingot, one of the most potent Feng Shui symbols of wealth. 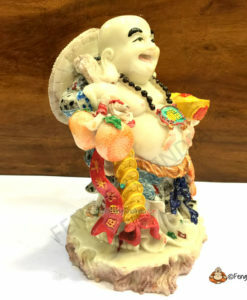 Hanging on the staff are a Wu Lou and two peaches, both are well-known symbols of health, longevity and immortality. 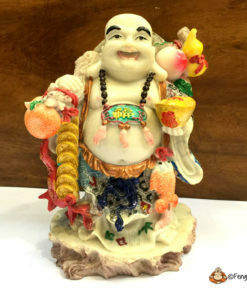 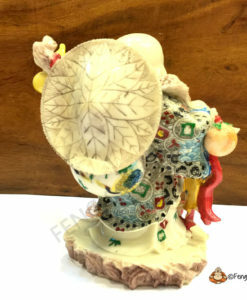 The presence of the hat signifies this is a travelling Laughing Buddha. 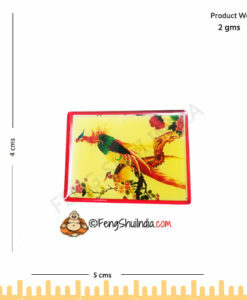 Perfect for those who often go on business trips. 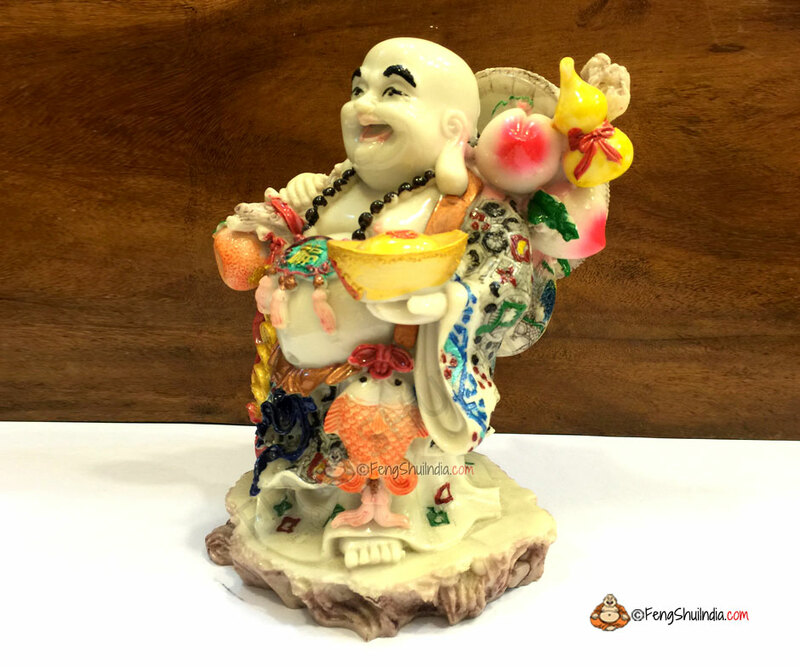 This Travel Luck Laughing Buddha will ensure all your trips are safe and fruitful.